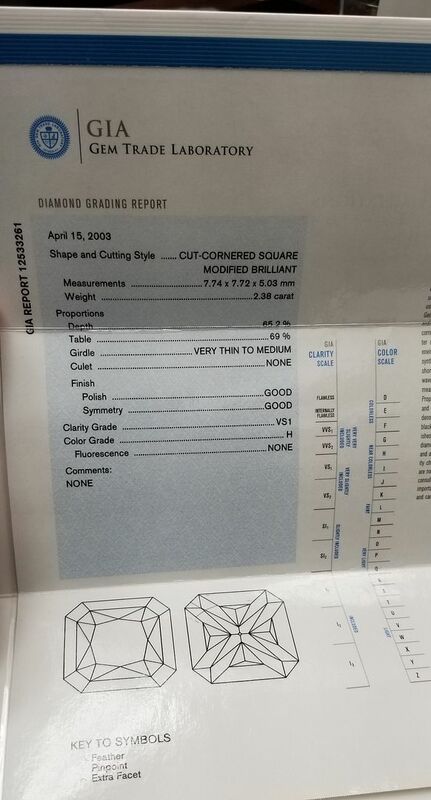 Here is a 2.38Ct Square Radiant Diamond Gia H Vs1. If you are looking for a center stone for a Wedding Ring this is a Beauty. I really like this Stone. 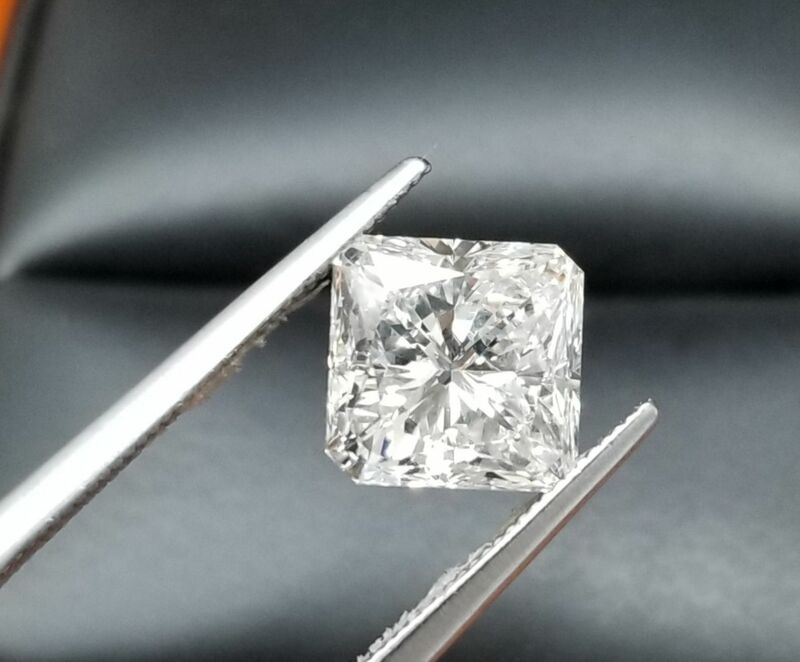 At first glance It looked like a G color, it has an oversize weight of 2.38Ct, it is well cut so it shows, it is very clean under the loupe and a vibrant, sparkling Diamond. This will be auctioned with a surprisingly low reserve. Bid to Win.